A Star is Born is the latest hit film to reach theatres this fall. But this isn’t its first time on the big screen – this film is the third remake since the original. There have been some changes. The movie, starring Bradley Cooper and Lady Gaga, is about a young, amateur singer named Ally (Gaga) who falls in love with country music celebrity Jackson Maine (Cooper). After touring with Maine, Ally rises to stardom while the old country star fades into obscurity. This plot may seem generic to some viewers – old stars fading away, and new stars taking their place – and that’s because it’s the same essential plot reused. In 1932, director George Cukor made What Price Hollywood?, a film about a young wannabe actress, Mary, who makes it in the industry after falling in love with a famous film director. This movie inspired the first A Star is Born in 1937 starring Janet Gaynor, and the 1954 remake with Judy Garland. These films are all centred on the film industry and Hollywood’s star system. A change occurred in the 1976 version starring Barbra Streisand – for the first time, the movie was set in the music industry. This one clearly inspired the 2018 writers and producers. 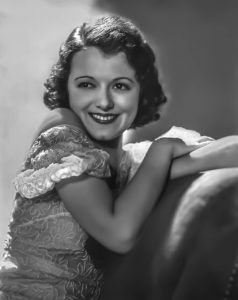 Janet Gaynor starred in the lead role of the 1937 original film. 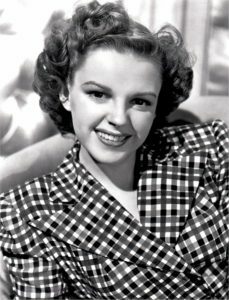 Judy Garland made a comeback as the lead in the 1954 remake. 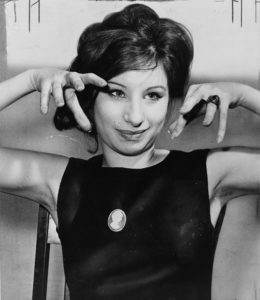 Barbra Streisand took on the lead role in the third remake in 1976. Lady Gaga stars as Ally in the 2018 remake. Why does this story keep getting remade? The most recent version has been receiving immense commercial and critical success. In fact, each previous version was popular in their time. What is it about this story that’s so enthralling? Why have audiences continued to go see the same film for the past several decades? According to Dalhousie University film and theatre professor David Nicol, a remake is ideally made when the original film is based “on a fundamentally good idea” – and A Star is Born is a good example of that. “There’s a fading star and there’s a growing star, and they meet in the middle,” he says. Nicol adds that a good remake is about “solving problems” that the original film had, whether they be social issues or problems with the story itself. The leading men in the older versions of A Star is Born were incredibly jealous of their successful wives. Her stardom overshadowing his was seen as a tragedy and emasculation of the husband. The burden of guilt was placed on the wife for apparently causing this misfortune. The new film recognizes the sexism in this. Maine does have a few moments of drunken jealousy toward his wife, but he apologizes for them. And Ally is not depicted as the reason for his demise. These transformations in the remake reflect society’s changing values. In addition to solving problems, Nicol thinks that remakes are made when the original film simply goes out of date. Regardless of whether you care for the older versions of this film or not, the 2018 remake was certainly made for this generation. There will probably be another in 20 to 40 years from now – maybe sooner, and that version will likely see even more change to the story. In the meantime, you can enjoy Lady Gaga singing her heart out and pretending to be a rising star. One day, her fame will fade too, and a new star will be born to replace her.